Digital Artbook releasing next Wednesday! 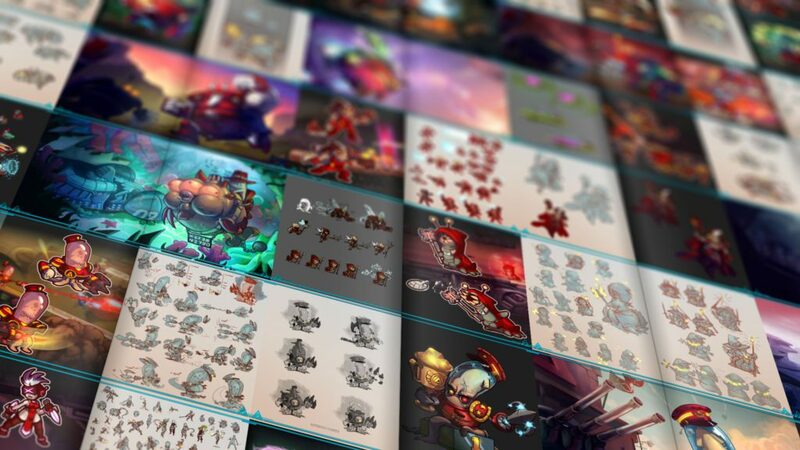 The digital artbook that was included in several tiers during the Awesomenauts: Starstorm crowdfunding campaign will finally be released next week! All eligible backers will receive an email after December 14th with a download location for their copy of the artbook. This book includes over 400 pages of Awesomenauts art, from the very first concepts all the way down to the release of Max Focus! Compiling this document has been a great trip down Memory Lane for us, and will give you a unique insight into how Awesomenauts started out and grew into the game it is today. It includes artwork from early versions of the different characters, some old style tests, and lots of different concepts for the different maps. If you backed the Awesomenauts: Starstorm crowdfunding campaign with $50 or more, keep an eye on your inbox!